Mohamed Salah scored and assisted as Liverpool earned a stunning 3-0 victory over Manchester City in the first leg of the UEFA Champions League quarter-final. 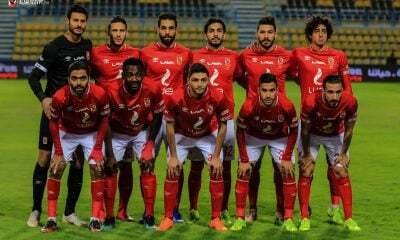 The Reds got off to a dream start as the Egypt international opened the scoring after just 12 minutes. Salah broke on counter for Liverpool to set Firmino in front of goal. 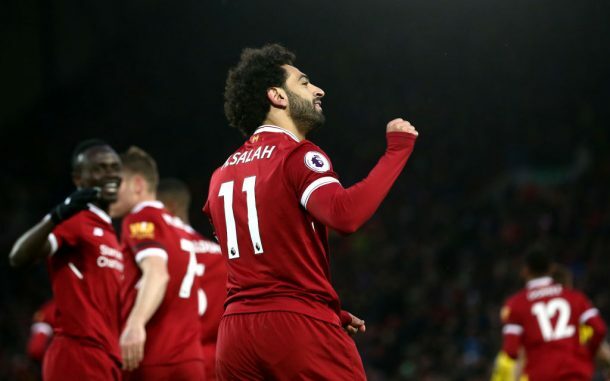 The latter’s effort, however, was saved before Salah put Liverpool in control with a close-range finish to raise his season goal tally to 38 in all competitions so far. Nine minutes later, the hosts were already 2-0 up as Alex Oxlade-Chamberlain hit a shot from the edge of box into Man City’s net to double his side’s lead. Just after the one-hour mark, Sadio Mane headed in Salah’s perfectly weighted cross to make it 3-0 for Liverpool, who dominated the first half. After the break, City came out a different team and looked more dominant. On the other hand, Jurgen Klopp decided to bring on Georginio Wijnaldum to replace Salah, who left the pitch with an apparent injury in the 52nd minute. Man City had a number of scoring opportunities in the early stages of the second half but failed to convert any of them. Meanwhile, the Reds, didn’t have any shots on target after the break, but managed to hold firm under immense pressure. Gabriel Jesus came closest to reducing the deficit five minutes from time as he turned the ball into the back of Liverpool’s net, but the referee ruled it out for an offside as Liverpool took a 3-0 advantage heading into the second leg. The Premier League leaders will face an uphill task in the return leg as they need to earn a big victory at Emirates Stadium on Tuesday to secure a spot in the semi-final.